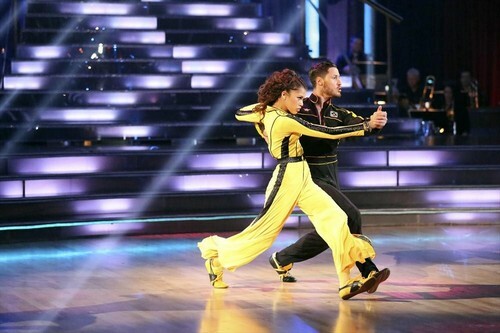 ZENDAYA danced a FREESTYLE for one of her last dances to convince the judges and America that she should win season 16 of DANCING WITH THE STARS. After 10 weeks of entertaining, stylized dancing from the remaining four couples, only one couple will be crowned “Dancing with the Stars” Champions. Tonight was their last opportunity to impress the judges and viewers. If you missed the show, we recapped tonight’s show for you and if you want to see how all the couples did go HERE!